You’ll be welcomed by the ringing church bells and the lapping water of the fountain in the marketplace. You’ll find yourself in the middle of all the action – situated directly on the Langenargen promenade, one of the longest along the shores of Lake Constance. Surrounded by the historical town centre, in a cosy building with just 40 rooms. You’ll be staying in a hotel with two lifts, underground parking and car spots directly at the house, in spacious suites and rooms. 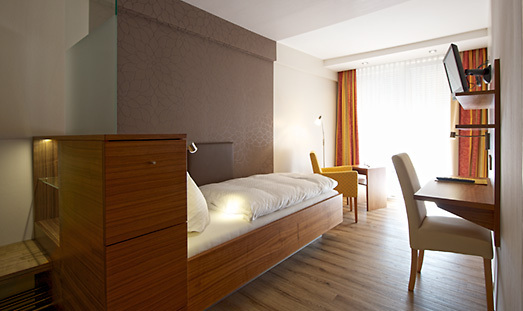 Alternatively you might decide to relax in our nearby holiday apartments, naturally making the most of all the included amenities at the Hotel Restaurant Engel, with its palpable feel-good atmosphere. In Langenargen, we like to sleep with the windows wide open, breathing in the crisp, clean air, shielded by our resident mountain: the Säntis. Delicately hand-crafted beds welcome their blissfully sleeping guests as the mountains slowly sink into the sunset on the Swiss shore. A last fading light caresses the Moorish features of Montfort Castle next door. Small waves complete their journey, gently lapping the promenade. What could be more homely? 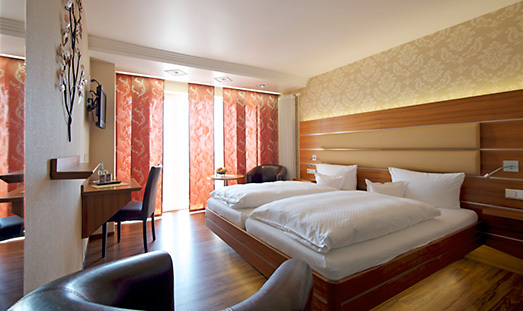 40 rooms equipped with modern comforts and a homely feel, some with a balcony and views across the whole of Lake Constance, inviting you to dream with all your senses. Hotel with Wi-Fi. Warum nur ein Zimmer buchen, wenn es auch gleich ein Arrangement sein kann? Mit unseren Arrangements entscheiden Sie sich für entspannte Tage in unserem Hotel. Unsere Arrangements sind auf Ihre Bedürfnisse abgestimmt und bringen Freude.